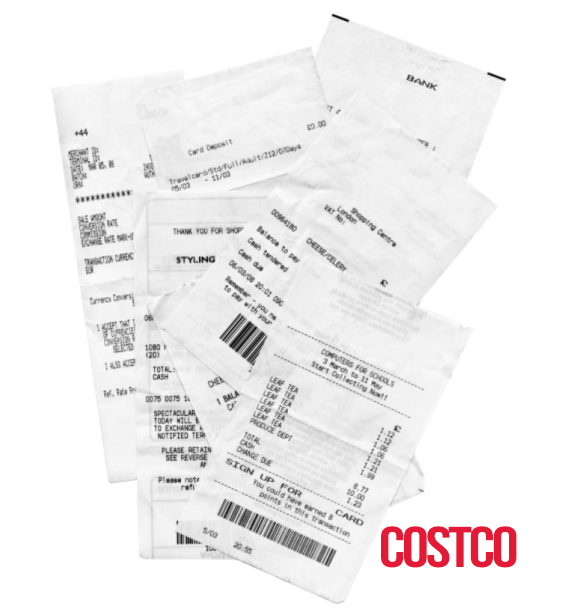 Upload your COSTCO grocery receipts (excluding GAS & LIQUOR & AUTO SERVICING) and earn cash back from Caddle! MINIMUM $5.00 PURCHASE MUST BE MADE. NOTE: Try to capture the receipt image in ONE PICTURE. If you have a long receipt, simply take a picture from further away. Phone cameras are pretty great these days, so we'll be able to read it! Please upload multiple receipts in separate submissions. Packing slips from online grocery orders are accepted. Offers are available in limited quantities. Item must be purchased and receipt must be uploaded between Monday, April 1, 2019 and Tuesday, April 30, 2019. Video and/or survey must also be completed during this timeframe. Offers available in limited quantities.